Next week I travel to Sacramento, CA for the SQL in the City Seminar – Stairway to Deployment on Friday, July 26, 2013. 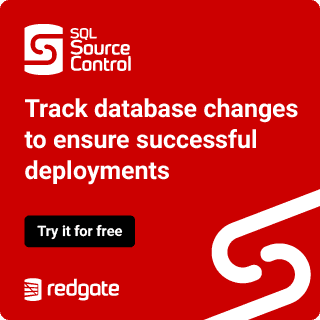 It’s a half day event where Grant Fritchey and I will look to lead you through the idea of implementing continuous integration and continuous deployment for databases (as well as other code). I have the first two talks to get you started: Team-based Version Control and Automated Build and Test. Grant will cover the Best Practices for Database Deployment and we’ll finish with a Q&A and a happy hour on us. We still have space, so register today if you can make it. The event is being held at the Courtyard Marriott Sacramento Midtown in The Orchid Room (4422 Y St, Sacramento, CA 95817) from 12:30-6:00pm. We will use some of the Red Gate tools to show you how to accomplish the tasks, but you don’t need them. The tools make the process easier, and that’s the job of our development and software tools, but really the important things to understand are the idea of automating your processes, integrating testing, and having a workflow that is constantly used, but doesn’t slow down your development process.